Publishnation.co.uk/Lulu.com (USA), 2015, Softcover (perfect bound), 335 pages, Illustrated, Sources and Bibliography, Photography Credits, ISBN: 978-1326309381. "[The universe] cannot be read until we have learnt the language and become familiar with the characters in which it is written." UPDATED Below - Author Joseph Rene discusses the possibility of Elvis suffering schizophrenia. JR: Hi Nigel! First things first, I’d like to thank you and the EIN team for taking the time for this interview, and also for posting on your website such a positive review of my book Elvis the Numbers. I have been a huge Elvis fan for over 40 years now, and I live in England, in London. I am semi-retired which leaves me enough time to write and enjoy life. I grew up listening to the King’s records, and started gathering books, magazines, photographs-and records of course!-from an early age. The first album I ever listened to was Elvis golden records volume 2, 50 million fans can’t be wrong. I would listen to it over and over again-it was a cassette I’d play on a small Phillips cassette player until tape and batteries total exhaustion! JR: Well, it was that sort of Eureka moment, when I realized that Aaron was Moses’ brother in the Bible. Moses demised his brother Aaron, who died sometimes later, at a date somehow pretty relevant to Elvis’ own demise, if you adjust the date stated in the Bible to year 1977... I have always been fascinated by the fact that Aaron was Elvis’ middle name-with or without one “A” or two “A’s”. Knowing Elvis’ appetency for the Bible and religions in general, I started to construe a few theories about Elvis’ life and to my own amazement, these theories would systematically be verified using numerology, religious references and neuroscience. Also, the fact that Elvis still interacts with everyone at different levels, in the manner of an intercessor between what they want and what he may represent to them always intrigued me. The way to merge those various aspects of the same man into one-that of Elvis-is to understand what the mystique and genius of the man was all about: his roots, religion, using numerology and psychology. So to make a long story short, someone said that everybody has a book in themselves... and in most case this is where it should stay! But in this instance, I thought I’d go one step beyond and share with my fellow Elvis Fans what I have discovered! Researching and writing Elvis the Numbers was literally a labour of love. JR: Certainly Nigel, with pleasure; to start with, Elvis the Numbers is not another biography, but clearly an original essay, far from either gutter press or any umpteenth publication on the King. The book differs from other publication in the way that it brings a fresh and innovative view of the man Elvis Presley who became during his lifetime a proper legend, a real iconic myth. To explain the legend, the idea is to focus on the man, his intelligence-and man he was clever and witty-and his inner world along with his own perception of the phenomenon he was. Elvis Presley was and still is certainly the biggest entertainment star ever. This being said, before being such a star, he was a man. A little boy who grew up, who had parents, and led a life-and without doubt not an easy one to start with, until a certain day of 1954, when “That’s Alright Mama” aired for the first time. Being a man means dealing with issues, questions we all ask ourselves at least to some extent. Elvis was brought up in a very religious environment, and religion, God, the Bible remained strongly anchored in his mind his whole life through-on this point at least, all testimonies, interviews from people who knew him tend to converge. So I decided to explore the inner life of The King through this prism, and made amazing discoveries. I also tried to imagine what was the dichotomy of being a man and the biggest star ever: how could a man cope with such a dual situation? In my last sentence, the important word is “dual”: let me explain-like many fans I guess, I’ve always been fascinated by the fact that Elvis was both Evil to his detractors and the sweetest person in his private life, a family man, a Southern Gentleman, and such a generous and giving man. How on earth could he be both at the same time? Well, that led me to think that the King’s personality was certainly more rich and complex than it seemed. One thing leading to another, I have made fascinating discoveries about Elvis Presley inner personality-always backed up by serious documentation and evidences- that I share in my book. So Elvis fairy tale or Elvis the man? Both are in the book, and the two facets of the man certainly interweave to culminate at an incredible climax...when explained through numerology, which was, and again this is documented, a huge centre of interest to the man. And to be honest, my findings never ceased to fascinate me as I went along with my search, always pushing further and always finding some verification between my hypothesis and the numbers... Numerology is simply intriguing or fascinating, and readers may get their own opinion and make up their minds on my website, which, for example, briefly explains the relevance of number 8 to Elvis. Hence the title of my book: “Elvis, the Numbers”. JR: Of course. Simply, I applied to Elvis Presley patterns of everyone’s life: from childhood to grown up. 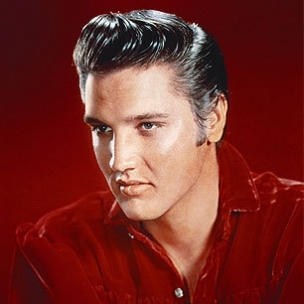 In his case, Elvis was born a twin-sadly, Jessie his twin was stillborn. That would be the foundation of the story, and stage number one: the seminal trauma. In order to compensate for the loss of his twin, Elvis and his Mother Gladys created a fusional bond, an incredibly strong link between the two of them-stage number two. In 1958, Gladys passes away, when Elvis is at the pinnacle of fame, but only 21 of age; this immense gap between the sorrow over the loss of his beloved Mom and the euphoria induced by his tremendous success leads him, again, in order to compensate for the loss of his mother this time, to try to get “closer” to his brother-at least in thoughts or in mind; the twin flame; stage number three. JR: (Smile) Ah! That’s where things get really, really fascinating, as you put it. Actually, we are all made of different “layers”, if you allow me the comparison. There’s what we think we are, what people think we are, what we are, what we are not, and so on and so forth. Maturity helps answering these questions-or at least some of them. But answers may well lie somewhere in our consciousness, under the form of religion, God, esoteric sciences or psychology as a whole. Answers you’d find may satisfy you, or leave you in a void with an unquenchable thirst to know. Esoteric means: not commonly accepted or accessible. But anyone may learn, it is just a question of open mindedness. If one is ready to cross the bridge so to speak, between what they are and what they’re not, they’d find a real relevance between their own life and how to explain it. Not to say necessary that everything is written, but as the King said himself, there a meaning in everything. It is just a personal approach to try and explain. This is what I did with Elvis Presley, and yes, I have to admit that what I found left me-and a few others!-breathless...of course in the context of the man being extremely keen on various sources of knowledge and being a very curious man when it comes to seminal questions...and more importantly, answers. So to answer your question Nigel, things developed pretty nicely and as questions flowed in my mind, answers would naturally unwind just like a ball of twine, and one after the other, that gigantic jigsaw took the form of Elvis Presley, the man. A man made of flesh, knowing he had such a huge influence not only in the music field but also on the world; a man rooted in religion, beliefs, introspection, but also a man questioning himself and finding inspiration and answers in occult sciences-numerology, palmistry, astrology-and medicine. The latter being an essential, crucial point to comprehend Presley’s personality. So many times it has been said the King over indulged on prescribed drugs. JR: Great album by the way Nigel-I really like Nick Cave and the Bad Seeds! It has been proved scientifically that twinless twins do feel at least the loss of a part of themselves or at worst bear the grief and the guilt of surviving their sibling. This is explained in my book, and it has been documented that Elvis would often refer to his own twin, Jessie Garon. This has been a major element in Elvis’ psychological path throughout his whole life. To this extent, and given Elvis’ mystique, my understanding of the King’s famous acronym TCB-Taking Care of Business, which Elvis never really took care of, leaving this aspect to the Colonel, unfortunately- may well have bore a hidden meaning likely to be “Taking Care of my Brother”, or “Thy Christian Brother”... This may sound a bit strange, but that would match Elvis’ fascination for hidden meanings and numerology-that’s only a hypothesis among others of course. But given the interpretation of numbers in Elvis the Numbers, readers would find out this is definitely something to bear in mind, in my opinion. JR: Well, I cannot disagree on that, because as I just said, these disciplines go beyond rationality and therefore cannot be really explained, at least with today’s tools. But remember, when Newton set up the basis of what is called today quantum physics, he was viewed by a vast majority of mathematicians as totally insane... I think in that sense, Elvis was a precursor, well ahead of his time. And this time, we’re not talking about his impact on popular music and culture as a whole, but well about his own perception of himself and the world surrounding him, his success, fame, wealth. These pseudo-sciences were his way to mark the difference between Elvis the man-Himself-and Elvis the legend-the star, a way to assume his duality and identity. JR: What is amazing Nigel is that in all civilizations through the ages and all over the globe, each had its own astrological theory, its own system of numbers, its own religion... As explained in Elvis the Numbers, I have studied several astrological themes, several symbolic references for Elvis and each of them do bring an extra piece to the jigsaw. More prosaically, just have a look at Elvis’ impressive collection of jumpsuits we all know: they are with no exception related to very serious themes, either astrology, Eastern religion or meditation, or symbolic animals in various traditions. This is certainly not by chance, and clearly is the result of the reflexion of the man’s own thinking and quest to different planes...Again, in each discipline the man would find a new layer of his inner self. JR: Well Nigel, yes. Coincidences...Ha! There are too many of those in Elvis’ life to speak of coincidences. And knowing the fact that the King was extremely keen on esotericism and occultism, you can help thinking they were no coincidence at all. Just take one example: readers will find in my book that in fact, Elvis died on the anniversary day of his mother Gladys’ demise. Given the nature of their relationship and many others aspects I explained throughout the book, this cannot be a coincidence, and supportive evidence is at hand. Then again, had Elvis not been so fascinated by numerology and occult sciences, I would have just said: well, how strange! Without going any further. But in his case, it just can’t be “just” a coincidence-and I prove it in my book... Readers will find many more facts and “strange” coincidence in Elvis’ life and no doubt they’ll be as surprised as I was when I made all these fascinating discoveries! All these so-called coincidences in the King’s life have an explanation, if you adopt a fresh point of view and get rid of what we’ve been told before. JR: It is quite simple: I finally got rid of all the bits that made up a legend and tried to get closer to the man. And God knows Elvis was a great man, sadly misunderstood by the people surrounding him. Hard to get along with people when you’re not on the same plane... Elvis the man was the most fascinating thing I found out while writing my book, and this is this fresh view of the man I wanted to share with my readers. JR: Yes-I would like to thank all of them who read my book, and wish them well! And to all Elvis fans, long live Elvis Presley! Thank you very much Nigel for your time-sorry I kept you for so long, but I am inexhaustible on the subject!- and keep up the good work along with Piers and Sanja-your website EIN is awesome! Author Joseph Rene discusses the possibility of Elvis suffering schizophrenia. As per the questions raised, first of all please bear in mind that my book “Elvis, The Numbers” is what I called a docufiction, in which I have included some fictional element along with undisputed facts in order to construct a story of my own, and the way I perceive it. Secondly, my theory has to be taken as a whole, and schizophrenia is only a part of the story told in my book- which encompasses a vast diversity of elements including numerology or psychology to name but a few-and shan’t be taken out of the context of “Elvis, The Numbers”. This being said, I have based my hypothesis about schizophrenia upon what has been continuously said and peddled by Elvis’ entourage or biographers, about the man’s unpredictable behaviour-his incredible mood swings for instance- or else his “apparent” stubbornness about excessive medicine usage. But more importantly, my analysis is based upon the fact that the man suffered from sonic hallucinations, as detailed in my book, and also upon the nature of the drugs he was indeed being administered and the various ailments he was suffering from, these latter being mainly side effects of the initial treatment. I also have identified several major emotional and psychological traumas in the man’s life and childhood that possibly induced mental consequences, as briefly explained in the blurb of the book [displayed on your website] and in my interview. I comprehend that being categorical in my statement may have come as a surprise and I understand the initial reaction or comment from your readers. However, my book explains clearly where I am coming from and what my conclusions are, with supportive evidence. It is up to your readers to refer to my book. My take about what Dr Nick had to say is that he stuck for years to the “cardiac arrhythmia” theory and later researched further reaching the conclusion that Elvis Presley’s death was due possibly to his colon. I have never said that Dr Nick ever made any comment about his patient’s psychological condition. However, given the medication he was administering to his patient, he must have known that -and again this is my point of view- these drugs were mostly prescribed for serious neurological issues. Then again, neuroscience was in its infancy in the mid Seventies, and neuro-psychiatrists were seldom. 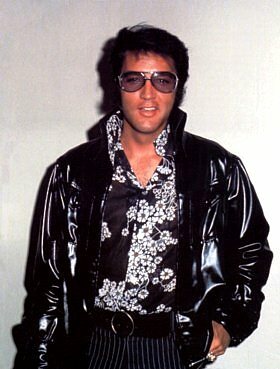 Nevertheless, Elvis Presley was being prescribed extremely powerful drugs such as anti-psychotics, neuroleptics, or else various drugs utilizing reuptake inhibitors which have accordingly strong side effects, such as, among others, and taking up Dr Nick’s theory here, painful constipation and increased appetite. Again, this is extensively documented in “Elvis, The Numbers”. This brings me to say that I am sorry to hear that psychiatrist Dr Deelen took offense, I certainly never meant to offend anyone or any professional body at all. But in turn, should a good criminal story writer be a criminal himself? - Hopefully not. I know my theory might be controversial and that there is fine line between what people think they know and what they want to hear, but again I have thoroughly researched and documented my book, and not being a doctor per se I personally questioned qualified experts and specialists in their fields prior assessing my views and findings. I therefore have backed my theory and my book is certainly not just hot air, in any case, readers will get their own opinion after reading “Elvis, The Numbers”. I’d simply say it is rather unfair to judge a book or a theory prior reading through it; in this instance I would only quote the saying that you can’t judge a book by its cover-no pun intended. May I just also remind readers that such great artists like Brian Wilson [Beach Boys], Peter Green [Fleetwood Mac], Syd Barrett [Pink Floyds] were diagnosed with schizophrenia too, so Elvis Presley is far from being an exception in the artistic field. In addition, serious studies have established that Vincent Van Gogh was to the very least a case of schizoaffective disorder too, and researchers who made this recent discovery never ever met him-obviously. With regard to the people who knew Elvis Presley and say my theory is BS - as they put it, most certainly having not read my book- I know for a fact that people with personality disorder are most of the time very good at hiding their condition from their entourage –or to the least minimize it-and notably vis a vis people very close to them. Accordingly, they also seldom if not hardly ever disclose it or even talk about it-not to mention that as far as physicians are concerned, they are bound by the Hippocratic Oath and professional secrecy, and therefore cannot disclose either their patients’ condition to non-medical population; such population generally not qualified to assess such condition and most of the time mistaking the causes for the effects, therefore unintentionally misunderstanding both the person and the situation. Lastly, may I say that from the feedback I have received from people who actually have read my book-among them fine Elvis Presley aficionados or highly educated persons in various fields- my theory is far from been decried and pretty well perceived as a possible explanation for the man’s remarkable intelligence, exceptional creative capability, and extraordinary dedication to his fans, and also for his incommensurable contribution to music and culture as a whole. As a conclusion I would reiterate the fact that a person suffering from what is called in generic terms personality or bipolar disorder is not a “crazy” person as common knowledge usually describes them, but clearly someone in pain and in need of a proper diagnosis and appropriate medical treatment; my theory in “Elvis, The Numbers” states that Elvis Presley was such a person and I offer as evidence not only the man’s unquenchable thirst when searching religion, numerology, esotericism and medicine for who he was-both a man and a legend-but more importantly the heavy medication he relied on to be Elvis Presley and perform as such; plus the fact, and again this is documented, that the man always seemed to know better than anyone else that he needed medication-and not on an addiction basis but as a continuous treatment-much to the annoyance of his entourage which seemingly mostly perceived such fact only as excessive and whimsical behaviour. Elvis Presley was not a “crazy” person, but well a true luminary in his own way, and his incredible talent and legacy still prove it as of today. Ron Trudell: I thought this was going to be one of those DUMB books I get caught up reading , but as I read bits here & there I was fascinated by it , YES know doubt about it , his mothers death his death I always said that ( could he have done that on purpose , I hope NOT ) I'll be looking to get the book that's for sure ( 1935. 42 8 ). 2001. That's right it is NO coincidence TCB. Canada LOVES ELVIS. Cheryl (UK): Numerology was always special to Elvis and he knew how numbers had the power to shape lives and afect people's destiny.